What do you think is the coolest light? The answer would be smart light. This kind of light should be intelligent enough to be powered up or off via only a set of apps. Today, I'm going to introduce a new lighting equipment, Notti. 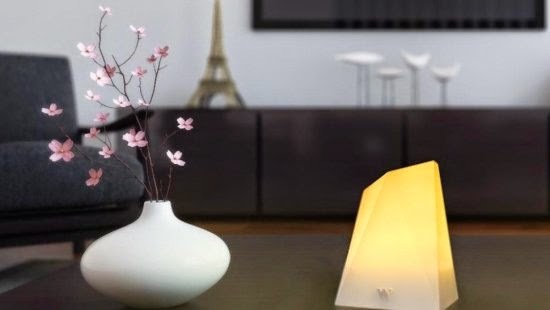 It is a new type of smart lamp which can emit light of different colors. Notti will show one color when the clock alarms, while shines another if receiving new message. Notti smart lamp was designed by Hong Kong design company, Witti Design, which also launched another smart light Dotti recently. Notti function almost the same as Dotti, but its exterior design is more "strange" somehow. Notti look like a strange polygons, or a giant ice crystals. When it's dark, Dotti lights white. It has up to 16 million kinds of different colors for choice. Do not worry excessively high power consumption of such smart light for it only need a power for light up a 3W LED lamp. 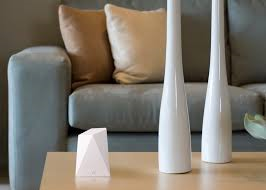 Notti can be connected through applications with Android or iOS devices in a low-energy Bluetooth 4.0 connection mode. Its built-in battery is good enough for five-hour use; and it can last for more than one month, equivalent to 720 hours, if used only for message notification. The biggest feature of Notti is the lighting display definition. Users could define the light by setting calls, messages, calendar, mail, and others via applications. In addition, it could change the light in accordance with music rhythm from phone. Notti also could be used as an alarm. The light will become brighter as the alarm sound goes louder. Now this smart light sells for $30, maybe $40 sometime later. Witti Design said it expects Notti smart light will be officially for sale in March 2015. But the premise is that the project could realize a $5,000 fundraising goal first. "LED Facial Mask: A Fashion and Science Revolution"
Recently, a new type of facial mask, LED facial mask, catches the public's attention. As reported, the LED facial mask is no like traditional cosmetics which could be applied to skin directly. Functioning via a mask like fencing mask, the mask helps human skin to generate collagen protein for a good cosmetic effect. It shows a nice performance to relieve sunburn, get rid of freckles, as well as improve skin conditions. Besides, this LED facial mask encourages the form of vitamin D and serotonin which make people feel happy and energetic. It is said, LED light can enhance the potential energy of skin cells, which acts directly on the mitochondria, so that every cell has an "energy factories." LED blue light can play a bactericidal and anti-inflammatory effect to improve the surface of the skin, for a better treatment of acne and rosacea. LED red light can promote the growth of skin collagen for a deep level of skin care. 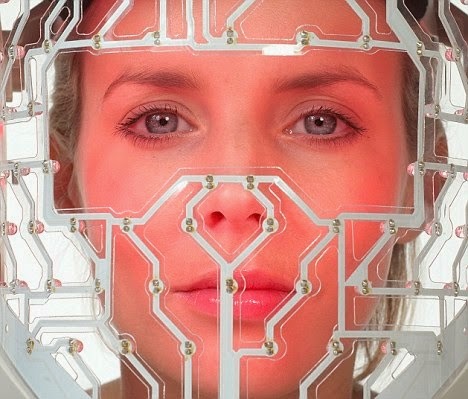 LED facial mask works like photosynthesis. It is heal wrinkles by changing LED red light's energy. It can not only heal the skin, but also to prevent the growth of bacteria inside the skin. No claustrophobic feeling would occur when using LED facial mask. LED red light can make people feel very comfortable. Wearing LED facial mask 25 minutes a day helps gradually improve your skin condition. During the past 2 years, TOYOTA has been developing a new and unique concept car. 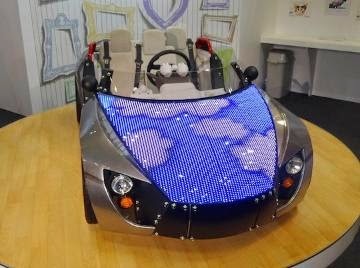 In Tokyo Toy Show 2012 and 2013, it exhibited a toy car named Camatte, aiming to offer kids a better understanding on car. 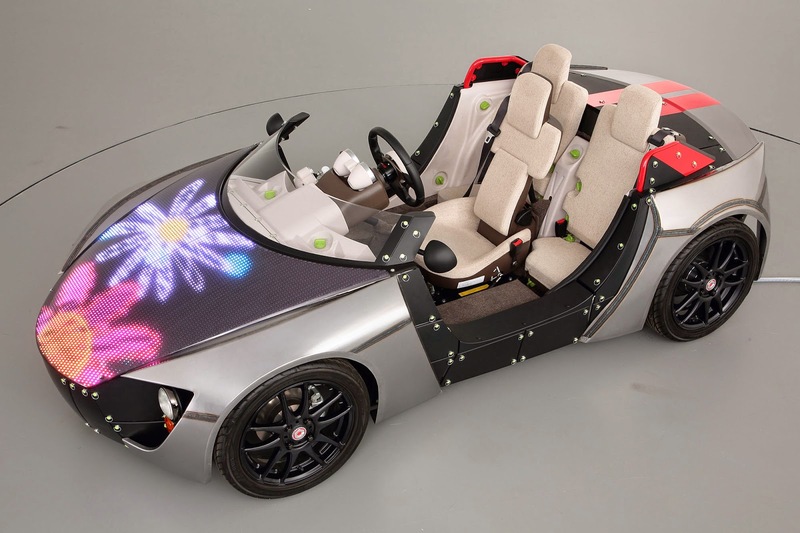 Now this year, TOYOTA enables Camatte a new function, digital LED engine hood for personalized patterns. The appearance of Camatte57 has no big difference from that of last year one, except one aspect, LED engine hood. This design reminds us Toyota full-size concept car, Fun-Vii at NAIAS 2013. 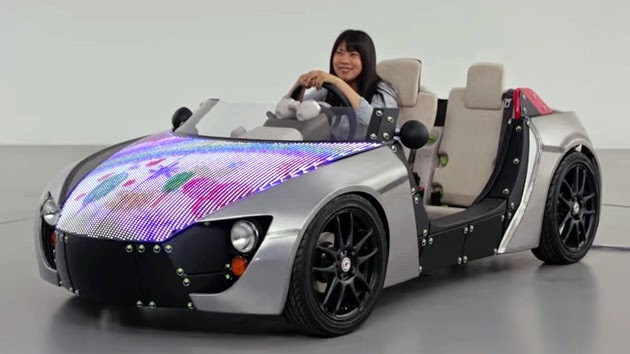 Fun-Vii enables users to change car color and pattern via tablet. Camatte allows kids to scan their paintings and display on LED engine hood.